Emirates will celebrate a milestone in aviation history when it welcomes the delivery of its 100th A380 aircraft later this year. For a limited time only, Saudi travellers can join in the celebration with special fares to the Middle East, South East Asia, Indian Ocean, Europe, United Kingdom and North America. Bookings have to be made from 12 September to 21 September 2017, for travel between 15 September and 7 December 2017. Terms and conditions apply. Celebratory A380 fares to popular destinations from KSA include Dubai, Kuala Lumpur, Jakarta, Maldives, Munich, Paris, London, Canada, Los Angeles and New York while prices start from SAR 880 for Economy Class and SAR 3,480 for Business Class. The Emirates A380 has been in service for over nine years, and Emirates remains the world’s largest operator of the aircraft. The award-winning airline now operates A380 flights to 48 destinations across six continents, almost a third of its global network. 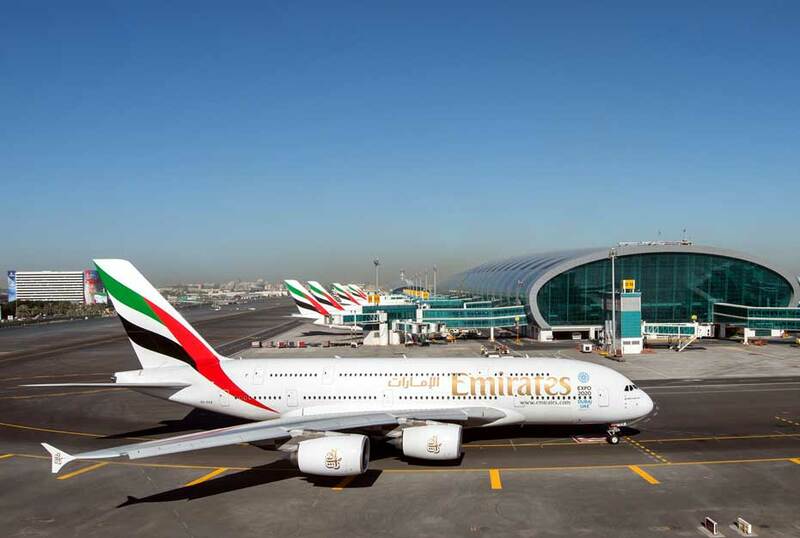 This year Emirates introduced the A380 on routes to Sao Paulo, Casablanca and Nice. On the Emirates A380, First Class passengers can relax in one of 14 flat-bed, massage-equipped Private Suites. The cabin also has two exquisitely designed onboard Shower Spas, ensuring a revitalised and refreshed arrival. Business Class passengers can relax in seats that convert to flat beds up to 87 inches (two metres) long, whilst those travelling in Economy Class can stretch out in seats with a pitch of up to 33 inches. Across all classes, travellers can enjoy a vast selection of over 2,500 channels on its award winning inflight entertainment system, ice. The newest version of the Emirates A380 features the widest individual in-seat Economy Class screens in the industry, measuring in at 13.3 inches.